Box Window Milling These windows can be used with fully boxed pistons and allow for oil to reach the small end of the rod during engine operation and also remove unnecessary weight from the piston. 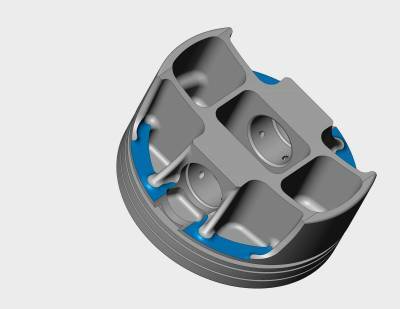 Not all boxed pistons need these windows; it depends on application and duration of usage. 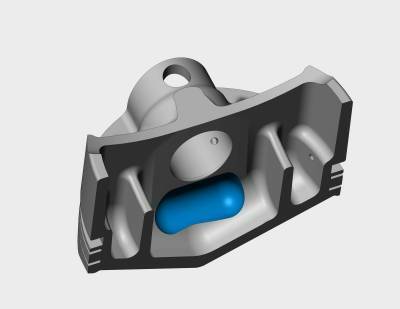 Plunge bosses Machining process done to the pinboss that removes material, either internally or externally, for added weight savings. Rotary skirt mill Skirt milling is a procedure that removes material from the inside of the skirts to remove weight. 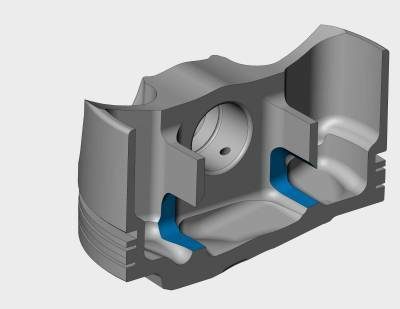 This option should be carefully analyzed for the application, as excessive milling may lead to shortened piston skirt life. 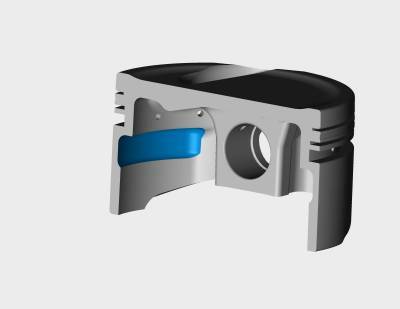 Shelf mill A milling program that removes weight on the shelf of the piston below the oil ring, only needed on forged side relief or “X-Style” pistons when certain design criteria makes it necessary. There are many different options, all depending on pin length, desired skirt width and the amount of weight to be removed. 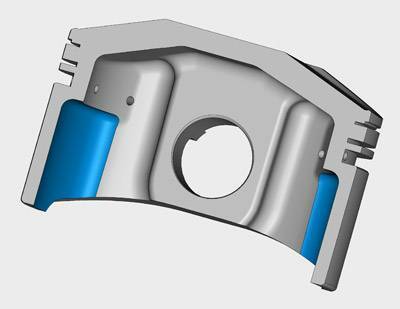 Underhead Milling (Lighten Up with MIL) Among the many unique technological advances CP-Carrillo uses to ensure our customer’s performance edge, Maximum Internal Lightening (MIL) has quickly become one of the most effective. 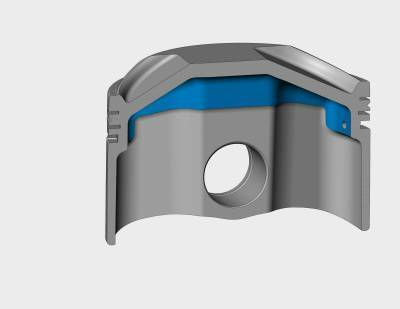 Although CP-Carrillo has one of the largest ranges of forgings available in the industry, there are still times when a customer’s requirements may result in a piston that is not an ideal match to the forging used. As a result, some areas may be thicker than the application may require. As we all know, more weight means a slower acceleration curve and more strain on the other internal components. Our MIL process allows us to remove that unnecessary material, freeing up that horsepower and reducing the load on the other components in your engine. Window Mill Skirt An additional milling procedure that removes material and weight from a small box shaped portion of the piston skirt and only reduces the skirt strength by a small amount.